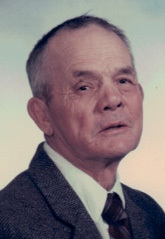 Nord K. Westover, 97 passed away peacefully in his home in Clifton, Idaho on Friday, March 22, 2019. After several days of saying "I want to go home" Nord is finally home! Nord was born June 25, 1921, in Lewiston, Utah to Albert Haven Westover and Liva Karren. He was the third son of eleven children. He graduated from North Cache High School, worked on the family farm in Lewiston, Utah and then on a farm in Swan Lake, Corrine, Utah and finally in Clifton, Idaho. He was sealed to Norda Carmen Hadley on July 7, 1947 in the Logan, Utah Temple. They have four boys and one girl. Nord was a devoted disciple of Jesus Christ. He was an active, faithful member of the Church of Jesus Christ of Latter-day Saints. He loved his family and working on the farm. A thought that truly describes him was; "Every noble life leaves its fiber interwoven forever in the work of the world." He truly loved to work, and taught all of his children and grandchildren how to work. Nord is survived by his wife Carmen, his sister Vera (Mike) Olsen, his brother Reed Westover, and brother Clair (Mary Alice) Westover, his children Jim (Kristi) Westover, Kim (Suzanne) Westover, Ann (Doug) Hulce, Dean Westover and Rick (Sally) Westover; 17 grandchildren, 12 great-grandchildren and 2 great-great grandchildren. In lieu of flowers, please consider contributing to the Church of Jesus Christ of Latter-Day Saints Missionary fund.